Pray for Chinese families who cannot attend their church as it has been closed. Pray also for families who face the ban on any "under 18 year old" entering a church. Pray that they can teach their own children, be able to pray and worship together and that young people across China will have a renewed curiosity and hunger for what the government is trying to deny them. Pray also for teachers in some areas who are being "encouraged" to have no religious affiliation, as a sign of being a good teacher. The Chinese Government fear the rise of religious extremism and terrorism in their country. In an attempt to prevent this, they have detained over 1 million Uyghurs, a minority Muslim people group living there. They have been sent to internment centres where they face unhealthy living conditions, poor nutrition, violence and torture. Despite this suffering, hundreds of Uyghurs have found eternal hope in Jesus Christ. Pray that this widespread assault on Uyghur identity leads to an unprecedented questioning of ancient religious assumptions in China, openness to the answers found in the gospel and a yearning to know the Saviour of the world. Pray that the Chinese church would be moved by this injustice and strengthened with a vision to reach their Muslim neighbours. Lift up those who are detained and pray for their release. Since February 2018, when new regulations on religion were introduced, the Chinese Government has been waging a growing and sustained campaign of repression against Christians in a number of provinces. Churches have been destroyed or have seen their crosses torn down, pastors arrested and imprisoned, and those trying to represent them in the courts detained and even tortured. Nearly 200 government-run churches in Henan province have recently been shut down, leaving only three such congregations in the area. Unregistered or ‘house’ churches (not under government control) are facing severe challenges. February’s religious ordinance is even in violation of China’s own constitution. Please pray that God would sustain the church in China at this difficult time and that the religious ordinance would be revoked so that Christians are free to practise and share their faith unhindered. China’s urban migration is drawing away young people from the villages for higher paid jobs and big city lifestyles. Men frequently leave their wife and children behind while they travel to work. If both parents work away, the children may be left with their grandparents. Rural churches cannot hold onto their leadership and staff, losing them to the urban migration. They continue to hold services and Bible studies but other activities are limited by their diminishing congregations. The unregistered (underground) churches are facing digital surveillance and they are systematically being shut down. Pray that the rural believers can share the gospel despite the challenges they are facing. Thank God that in the past the church grew despite times of persecution. Praise him that he can “use the weak to confound the wise”. Pray that signs and wonders will follow as the rural believers share the gospel. Across China many churches have decided that rather than face very heavy fines and possible detention of leaders they will prevent anyone under 18 years old attending church. Although they could attend, their presence in the church could be interpreted as “influencing these young people with religion”, so many churches have decided to ban children and young people. Pray for these young people, that they can meet perhaps in homes and continue to grow as Christians, and learn more about Jesus. Pray also for their parents – should one attend church and the other stay at home? How can they encourage and disciple their own children? Pray for the church leaders to have wisdom and an understanding of how to best serve God at this time. The education system is fiercely competitiveon, so families who can afford to send their children abroad for studies wouldchoose to do so. Many of these students, and among them many are Christians. Pray that the parentsy can find suitable schools and Christian host families for their children. Northwest China is home to the Uyghur people. They are nearly all Muslim. There are few Christians and becoming a Christian and living as one is very difficult. There are strong tensions between the Chinese Government and the Uyghur people and the security in place is the most stringent in the whole of China. Daily life and travel is monitored and security checks on the street are frequent. This increases the challenges to sharing the gospel with people. Ask God to encourage the few Uyghur Christians and for them to be able to meet together. Pray that despite the difficulties more Christians would go to Xinjiang to share about Jesus so that others would hear of Jesus and follow him. New religious regulations are to be introduced February 2018 which are sweeping in scope, and could mean major changes for China’s unregistered church, in its worship and meeting practices, and also Christian education, media and interaction with the global church. Pray for those who have responsibility for implementing these new regulations, that the Lord would soften their hearts and that officials would limit their enforcement of regulations. Pray for all those who are already being affected by bans on Christian camps and on children and teachers attending churches. Pray for President Xi Jinping and other Chinese leaders who see Christianity as a foreign religion that needs to be resisted. May God change their hearts. China is urbanising rapidly. With 40,000 people moving to the cities daily it’s estimated that by 2030 1 billion people will be living in China’s cities. This is what we call the ‘urban billion’. It is made up of people from every level of Chinese society, from political leaders to migrants from rural areas. Pray that many of the ‘urban billion’ would find life to the full. Pray too for Christian professionals, who often have to work on Sundays, making it difficult to get to church let alone invite friends along. Pray that God will protect their faith, and ask that he might use them in an amazing way to access those whom the church would otherwise struggle to reach. Lift up the children of missionary families living and working in China who have left their friends and extended family behind. Ask God to help them make new friends and to be able to demonstrate the love of God to them through their actions and words. These children face the challenge of adjusting to life without the familiarity of their home countries in order to play their part in the Great Commission. Pray that the time they spend in China will be ‘worthwhile’ in the lives of these children. May their experience teach them spiritual wisdom and draw them closer to God. Thank Him for sending these workers to China and pray for the ultimate reaching of the Chinese people with the gospel. Since its inception in 1990 the Eastern Lightning cult is still alive and active in China. Eastern Lightning has a history of using lies and deception, violent methods, and even brainwashing and seduction tactics to coerce people to accept its misinterpretation of Christianity. It often targets new Christian believers with little or no knowledge of the Bible. But amazingly God has used this evil cult to actually strengthen his church. To combat the cult’s heresies China’s church leaders now place greater importance on foundational teaching and materials, sharing the love of Jesus in the community, leadership training and cult awareness. Pray for more training, leaders, disciplers, and foundational materials to be provided so that new Christians will receive the nurturing they require to keep them safe from deception. Over the past number of years AsiaLink has been able to support the printing and delivery of Bibles for the emerging church in China. The need for Bibles in local languages remains great. Yet 343,505 Bibles have been provided since the beginning of 2017. A new church was established a few years ago with about 70 people. Later they started children's ministry. Now they have about 800 people in the church. The Bibles came to those new Christians in perfect time. Pray for the new believers and for more Bibles. China-based journalist Ian Johnson recently described “the reality of present-day China” as a place “where hundreds of millions of people are consumed with doubt about their society and are turning to religion and faith for answers they cannot find elsewhere in their radically secular society. 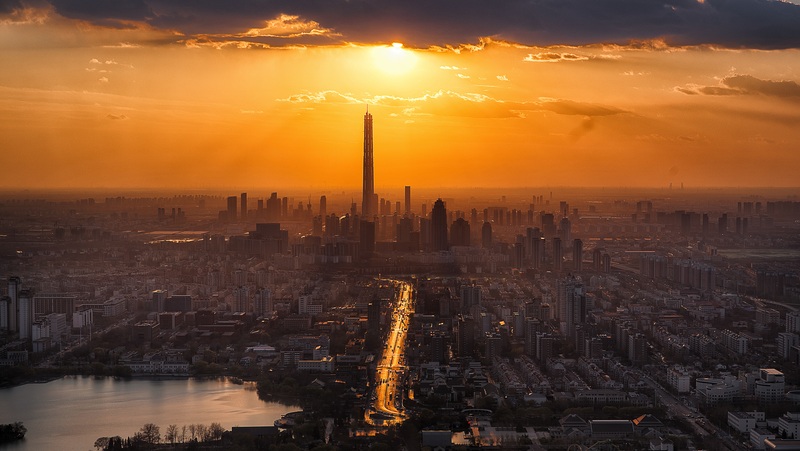 They wonder what makes a good life and if there is more to it than material gain.” A pastor of a church in Chengdu told him: “We thought we were unhappy because we were poor. But now a lot of us aren’t poor anymore, and yet we’re still unhappy. We realise there’s something missing, and that’s a spiritual life.” Pray for those searching to find answers in Jesus Christ, and pray for Christians to be able to share the Good News. China recently circulated draft new religious regulations. If these go into effect, they would significantly curtail Christian activities in a whole variety of areas. Severe restrictions would impact home Bible studies, religious education, donations, the publication of religious materials, hiring of rooms… China’s government will now be considering the response it has received to these draft regulations. Pray that leaders will realise the need to reconsider and will soften the regulations significantly. Pray for the Lord’s Hand to be on all that happens as the approval process for these regulations moves forward. Please pray for courage and protection for human rights lawyers who still operate in China despite government harassment. Pray for a change in the government’s attitude to human rights, particularly freedom of religion or belief. Pray too for safety for China’s religious minorities, especially in light of the crackdown on human rights lawyers. 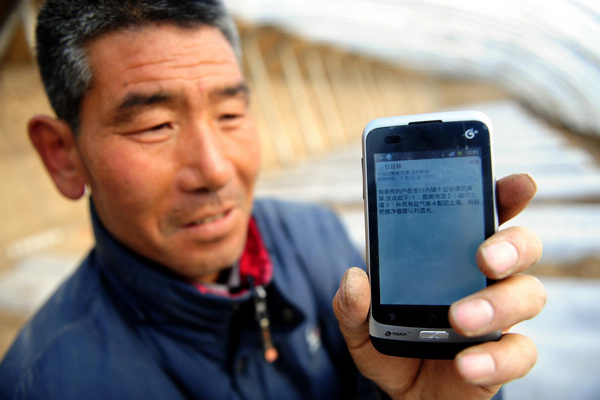 With China Mobile now covering more than 99.99% of the country, internet access is widespread in China and many have turned to their smartphones to access Bibles. Religious material uploaded within China is often more readily available to access than that uploaded outside the country and many of China’s Christian smartphone users have made use of the web to access God’s Word. The authorities however watch the net-users closely and President Xi Jinping is leading one of the harshest Internet crackdowns in recent memory. Authorities report investigating 7,400 criminal cases of cyber crime in the last 6 months, targeting users who might, among other things, be looking at “illegal and harmful information”, including Christian material. Some 66,000 websites have already been investigated and 15,000 people arrested for an array of suspected internet crimes. Pray that the Lord would continue to build His Church. A government demolition programme targeting churches continues apace in coastal Zhejiang province, with the destruction in June of a new megachurch. Yanxia Church, a state-recognised church in Wenling city, was pulled down, soon after its completion, apparently to make way for a new road. Church leaders had reportedly agreed a compensation deal with officials, although reports suggest they were pressured into an agreement. At least 425 churches are known to have been affected by the local government’s ongoing ‘Three Rectifications and One Demolition’ campaign. Please pray for an end to the local government campaign targeting churches in Zhejiang. Pray that congregations in this province – and across China, including Guizhou – will be like ‘a town built on a hill’, whose light cannot be hidden (Matthew 5:14). The province of Sichuan in South West China has been at the forefront of the country’s unrelenting economic development. Everything from tea to cars is produced here in the ‘Land of Abundance’, so called due to its rich natural resources, temperate climate and fertile soils. 14 million of its 90 million population live in the capital, Chengdu. But the greatest challenge facing Sichuan’s growing church seems to be the enormity of the task of reaching their neighbours. 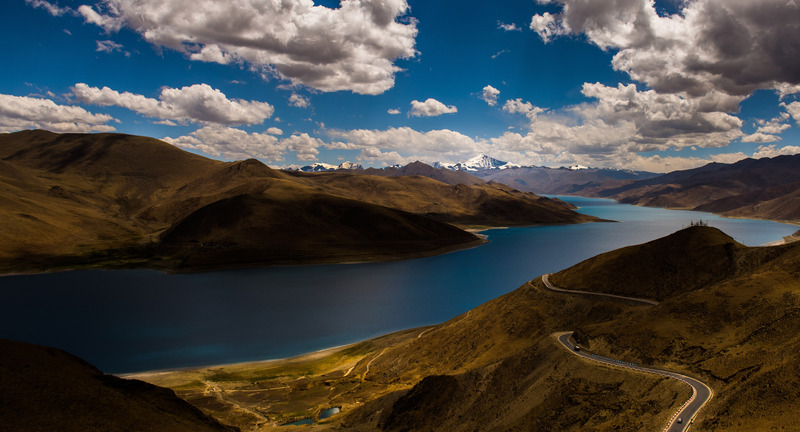 It is directly connected to Yunnan, Tibet, Qinghai and Xinjiang - home to some of the least reached peoples in the world. Large portions of this population are ethnic minorities with little or no witness in their language. Pray for the miraculous spread of the Good News to the unreached people. The 50,000 or so Northern Pumi people live in China’s Sichuan province and are strongly Tibetan Buddhist in outlook. Ancestor worship is practised with few Christian believers. Food, for example, is not eaten until it has been placed on a tripod - an invitation to the ancestors to eat first. Spirits are also believed to dwell in the wooden centre post of their homes. In 1960, five different tribes were assimilated into this one group and as a result there are five different Pumi dialects. An increasing number of Chinese words are being introduced to their vocabulary. They are one of hundreds of minority groups in China that desperately need Christ. Please pray for a Bible for the Pumi people. Pray, please, for the Good News to spread to these minorities. 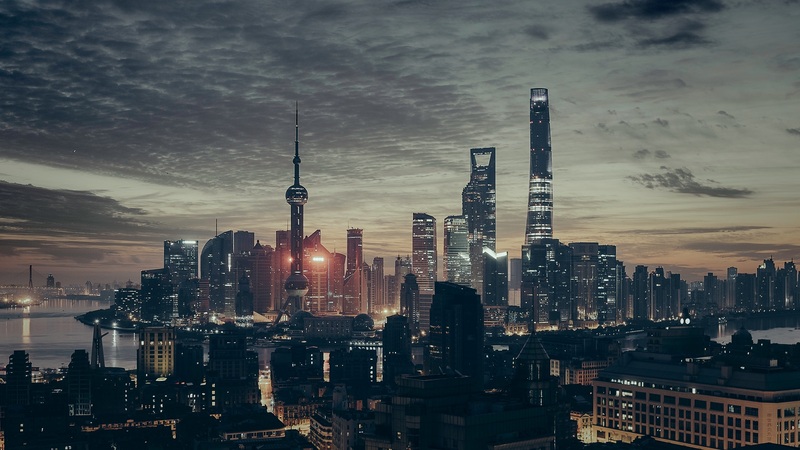 There are more than 400 minority groups in China - some have seen huge growth in the Gospel while others have witnessed green shoots for the first time. In one minority people group alone some 300 people have recently come to the Lord and now translation work is taking place to ensure God’s Word is available in their own language. Furthermore, leadership training has been taking place. One particular lady been involved in all of this and has also led 25 people from the group to Christ in the last 6 months! We praise God for how he is using this special lady to establish His Church. We continue to receive regular news from work among the Mosuo people. Good things are happening there despite the surrounding challenges. Sichuan province with its 88 million inhabitants is where many Mosuo live. It has the lowest Christian percentage of all Han-majority provinces in the country. There are 44 ethnic groups in the region, 33 of which are completely unevangelised. Most speak mutually unintelligible languages. Still, over recent years, the gospel has begun to reach some of these groups and the first converts ever have come to Christ. Please pray for believers from other ethnic minority groups in neighbouring provinces as well as from among the Han population who have relocated to that region. 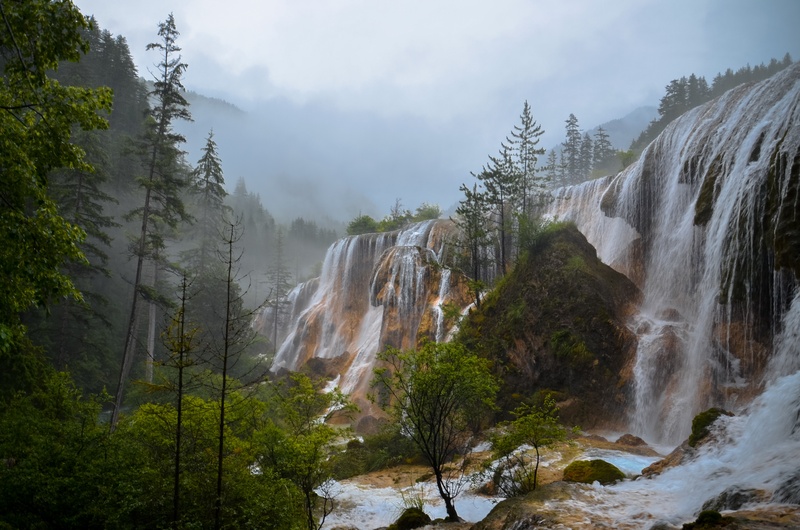 Pray that they would invest the time needed to learn local languages and culture sufficiently to share the gospel with the minorities from Sichuan. Everything about China is big and the scale of its HIV situation is no exception. Attitudes to HIV vary and the church community is not exempt. In Yunnan province, Cedarfund is working hard to change hearts and minds. As well as teaching pastors about HIV prevention and drug awareness, they use Bible studies to look at the compassionate nature of God. Pray that as a result of this ministry, many church leaders will seek to reach out to people living with HIV with empathy and love.